There are two things we just really love in the world, and that is trains and Wales. Wales is one of the most beautiful places in Europe, and its landscape is so vast and diverse. Because of this, the best way to explore the country is by train, so you can really take in everything it has to offer. Luckily, there are numerous rail adventures in Wales to try out. So hop on board, and see Wales for yourself. One of the biggest selling points of Wales is the incredible Snowdonia region. This national park is full to the brim with mountains, glaciers, forests, beautiful gardens, castles and more. However, the piece de resistance of Snowdonia is Mount Snowdon. As the highest point in the British Isles, people from across the world travel to Snowdonia just to see the impressive mountain. Although you can climb and walk Mount Snowdon by yourself, it’s not for everyone. But don’t worry, you can still see what’s up there! 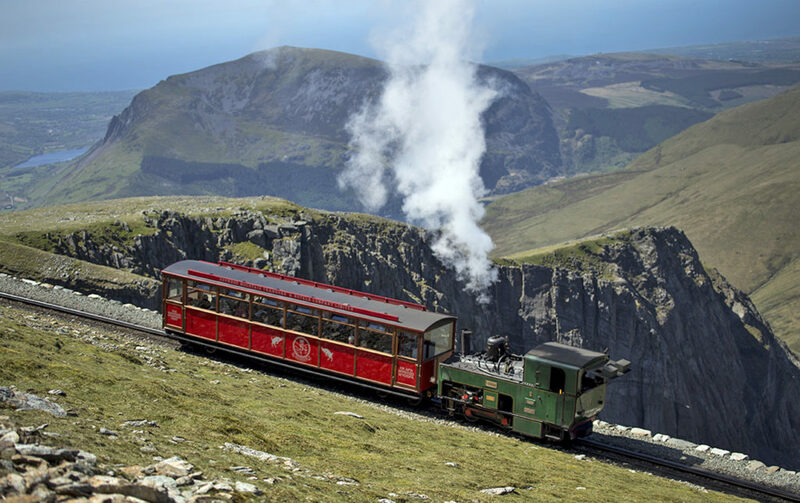 The Snowdon Mountain Railway has been in action since 1896 (although it’s had a bit of a refurbishment since then) and takes visitors up through the clouds to the peak of the mountain. It really is an adventure that needs to be seen to be believed. If you’re not a fan of heights but still want to see what Snowdonia has to offer, you can check out the Bala Lake Railway. This train takes you around the amazing nine-mile circumference of Bala Lake – the biggest lake in Wales. The lake is located slap bang in the center of the Snowdonia National Park and gives you unlimited 360-degree views of the impressive hills, trees, mountains, and wildlife. 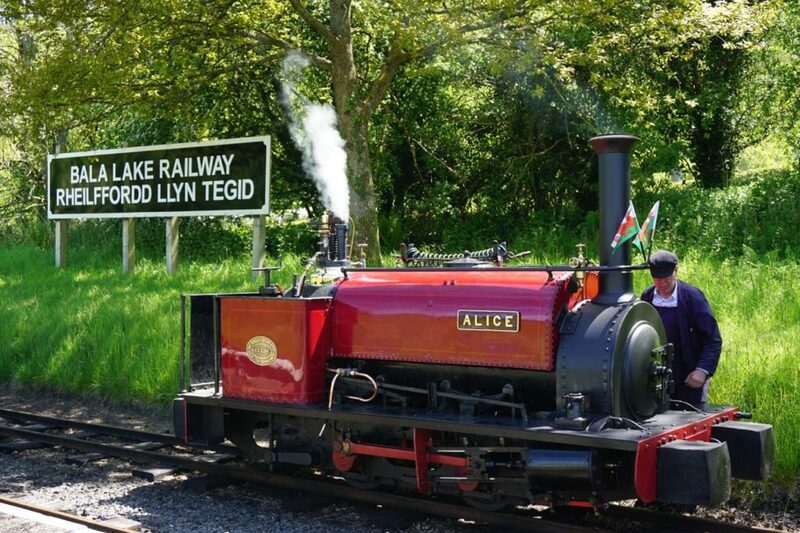 The train starts and stops in the picturesque village of Llanuwchllyn, so you can pop in for a cup of tea after your hour-long journey around the lake. If you really want to see what Wales has to offer, the Ffestiniog Welsh Highland Railway will give you just that. This railway line takes you across 13 ½ miles of pure Welsh countryside – and believe us, it is not to be missed! The journey will start off in Porthmadog Harbour and will finish off in Blaenau Ffestiniog. The train is also linked to 40 miles of railway, so you could even stop off and explore a little on your own. Although it’s never normally warm enough to go for a dip, the Welsh coast is truly breathtaking. The Fairbourne Railway will allow you to ride through across the pebbles, see the beautiful seaside towns and check out the famous Barmouth Bridge. This train will take you from Fairbourne Village to Mawddach Estuary. From there, you can take a ferry over to Barmouth if you want! 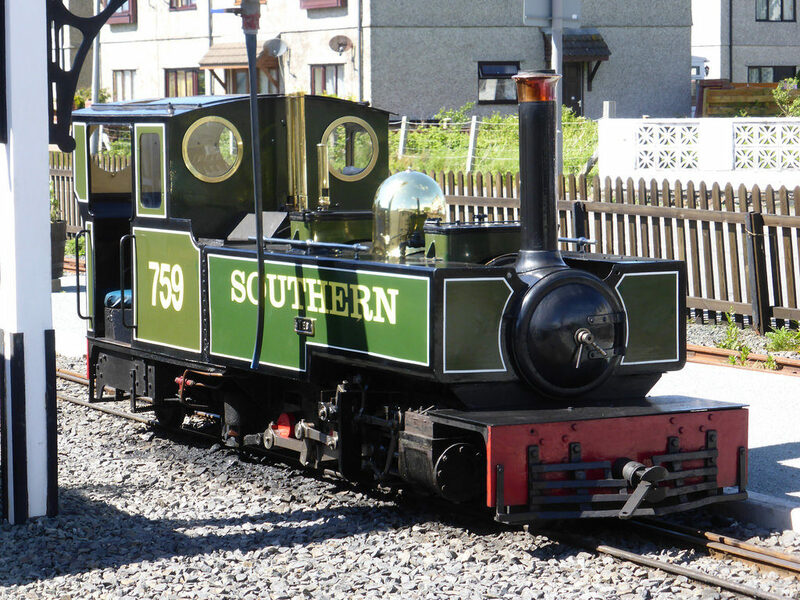 Once you’ve explored everything Barmouth has to offer, you can get back on the 100-year-old train back to Fairbourne for fish and chips on the seaside. If you fancy ending up in the middle of nowhere and just seeing where you end up, the Vale of Rheidol Railway is perfect for you. This 12-mile track takes you from Aberystwyth to Ceredigion and passes through luscious meadows, mountains, and majestic waterfalls. You can simply stay on the train for the whole time and arrive safely back home if you wish, or you can get off at one of the many stations in between and explore the many scenic walks the Welsh countryside has to offer. Are you heading to Wales soon? Why not take a Welsh railway adventure?